Editor’s Note: No better sport exists for the bowhunter than hog hunting. 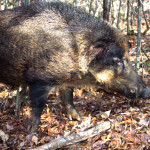 You can hunt hogs throughout the South and in parts of the West at any time during the year, and you can bag as many hogs as you want, due to the destruction feral pigs cause to crops, their contamination of water supplies and their preying on ground nesting birds’ eggs, turkey poults, turkey hens sitting on their nests and just-born fawns. By using feeders and cameras, you can pinpoint where the hogs are moving and use the feeders to bait them, as most states allow you to bait hogs (check your local regulations). 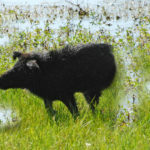 Whether you’re hunting in the thick palmettos of Florida, the oak brush of Texas and/or the briarpatches of Mississippi, you can pull ravenous wild porkers out of thick cover by baiting your feeder with corn. Tough and strong, hogs have thick-gristled platelets over their shoulders that will test any broadhead and shaft used against them. 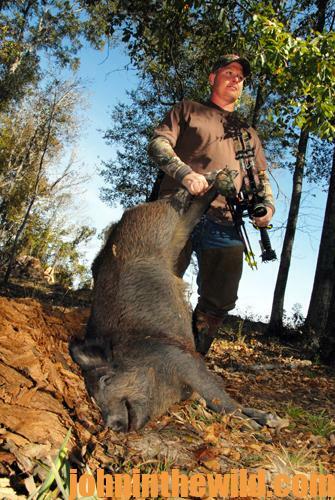 With a feral hog, you soon will learn just how sharp and strong your broadhead is and how well it can penetrate a hog. 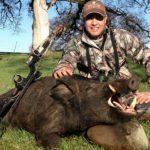 If your broadhead brings down a hog, feel confident it also will work with any other animal you attempt to take with your bow and arrow. 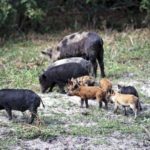 Florida and other southern states offer bowhunters an endless season to hunt hogs, since in most areas, they can hunt feral hogs throughout the year and bag as many as they want to take in a day. Many southern hog-hunting operations maintain year-round feeders. 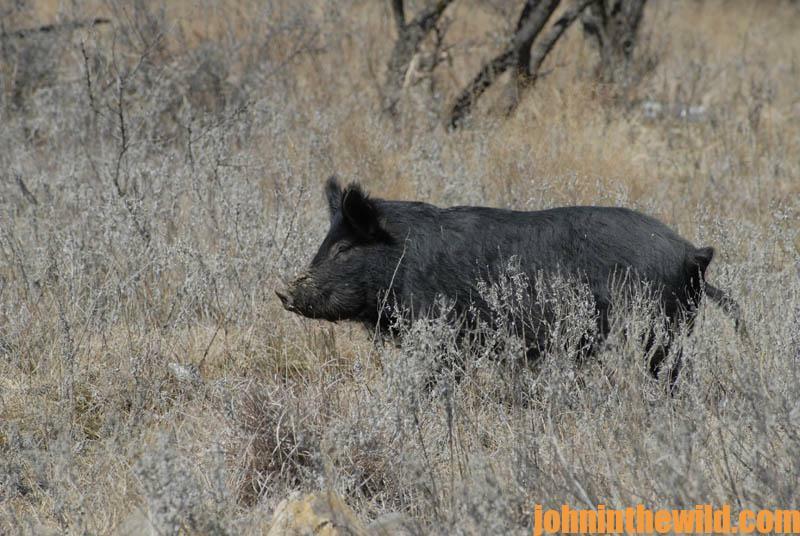 Some hogs you’ll run into are what bowhunters classify as hip-high hogs, which generally weigh more than 250 pounds. If you’re unfortunate enough to stand next to one of them, its back will reach as high as your hips at your belt. 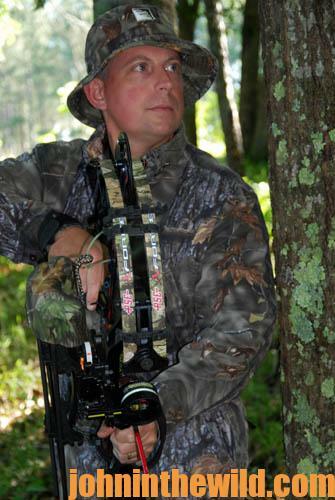 A tree stand provides the best and the safest opportunity to take hip-high hogs. 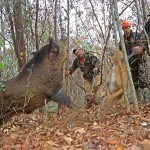 * Do I want to shoot this big, bad hog at close range without having a tree to climb if he decides to charge? * Am I willing to throw my bow to the ground and run or climb a tree, if the hog doesn’t turn and run away after taking the arrow? * Do I believe I quickly can nock a second arrow and drop a hog coming at me that weighs 250 pounds or more? 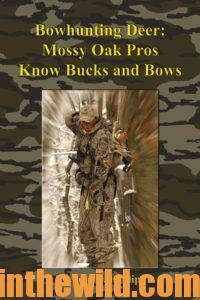 One bowhunter explains, “I can test my broadheads on hogs to learn just how sturdy and sharp the broadheads are. To test penetration, I’ll often shoot a hog through the shoulders to see how far my broadhead will penetrate that mass of gristle. 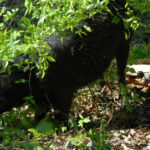 Even with large hogs, friends and I have had broadheads that have penetrated one shoulder platelet and entered the vital area, even if they didn’t penetrate both shoulders.” To see more wild hogs, place a tree stand in a cleared spot, close to water and shady hammocks where hogs enjoy resting on hot summer days. 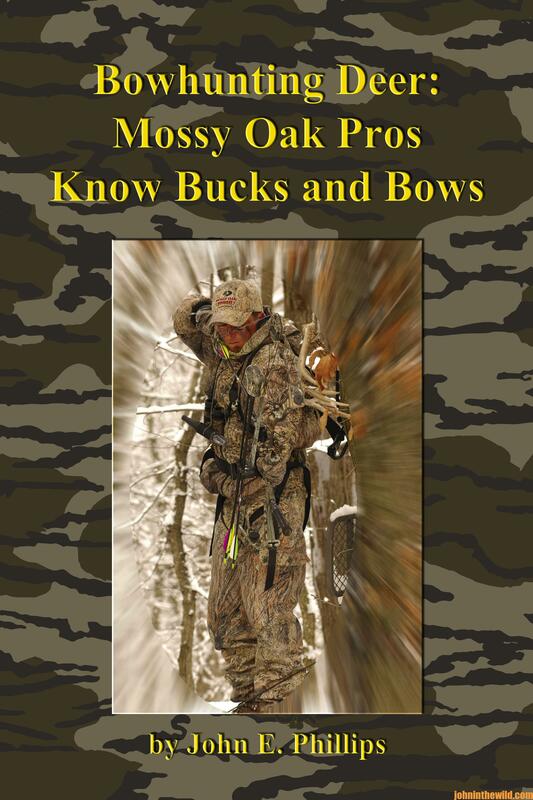 To learn more about deer hunting, check out John E. Phillips’ eBook and print book, “Bowhunting Deer: Mossy Oak Pros Know Bucks and Bows.” Go to www.amazon.com/Bowhunting-Deer-Mossy-Pros-Bucks-ebook/dp/B013F0T58O. You also can download a free Kindle app that enables you to read the book on your iPad, computer or SmartPhone.